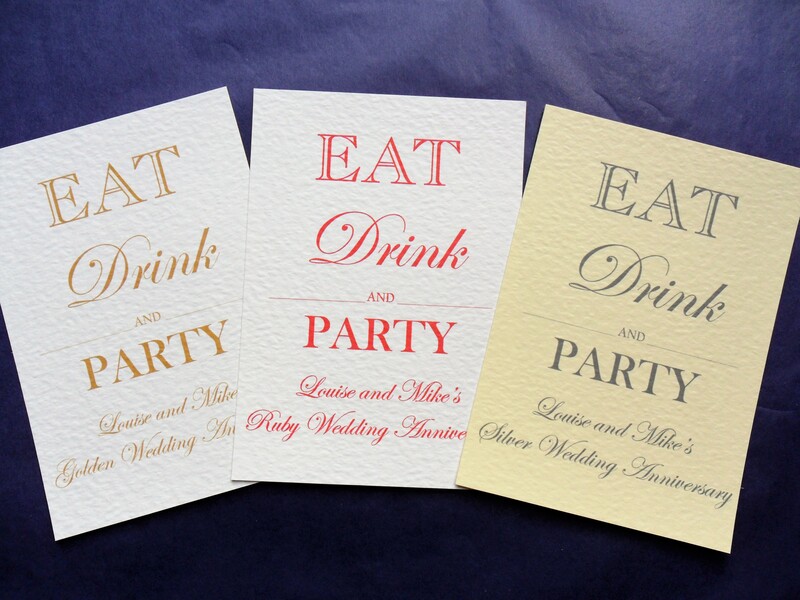 Eat Drink and Party Postcard Invitations are printed on a thick top quality heavy weight (270 gsm) hammered card and are available in white or ivory. 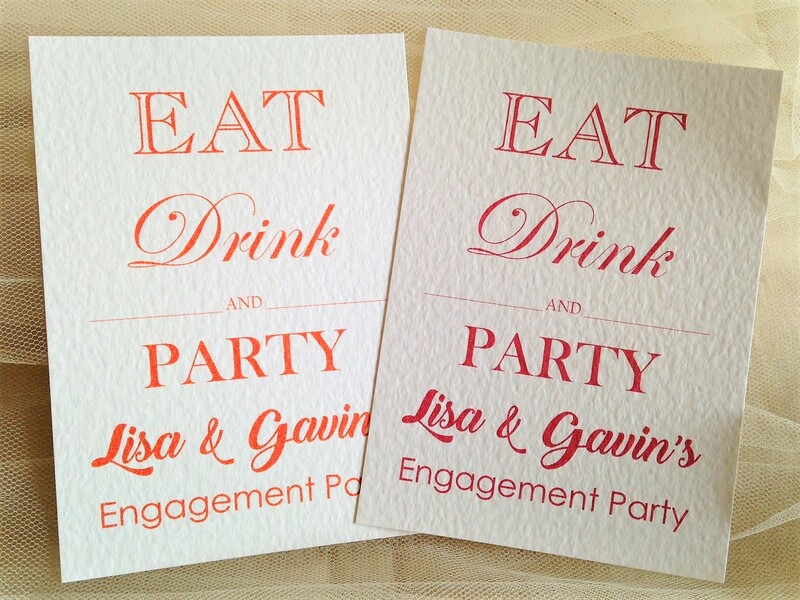 Alternatively we have a brown rustic kraft card. 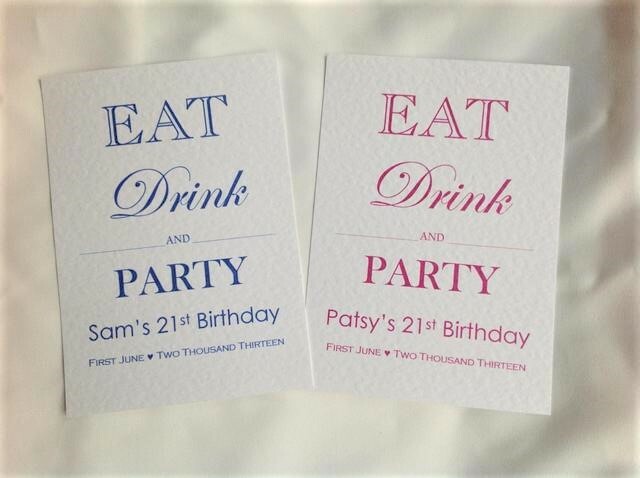 Text can be printed in any colour. 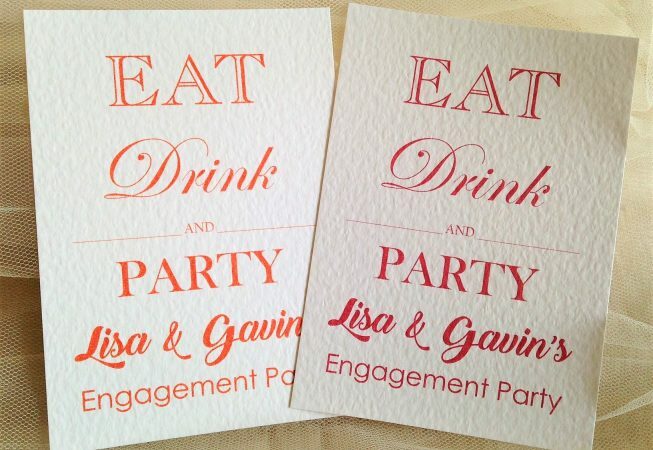 We can personalise the party invitations for any occasion and print the details of the party on the reverse of the card. 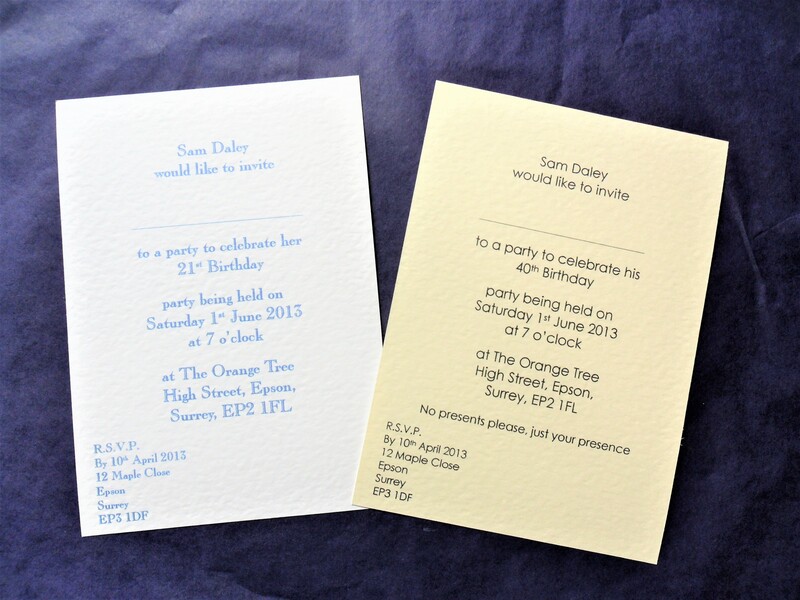 We can print your invitation details in any colour and font style.